If Delta calls me and offers me (whatever) should I take it. What if they force me to downgrade? You may or may not have noticed but Delta is really shaking things up when it comes to flights to Japan and Asia. Some routes are changing destination airports, others are being dropped and others still are just ending. It is a lot to keep up with. Then we add in the fact that the 747 queen of the skies will soon no longer fly with Delta colors but just be parked out in the dessert in Arizona (a really kool place to visit btw). All of that is interesting but what does it have to do with today’s post? Well there is a new FT Delta thread talking about what can happen now and then, that is, Delta calls you and offers you something for some reason. Like what and should you take it? Let’s look at a number of situations and what you can and can’t do or ask for. In the FT example the OP was offered a different routing and some bonus points for doing this change. Same class of service, but they may or may not want to take it. Say you are flying direct and Delta now is offering you a connection. You may not want to connect even if it arrives at the same time. Or you may not want to connect as you will earn a bunch more elite MQMs for some longer route Delta is offering you. Or, you can take advantage of the offer and suggest an even MORE crazy route to the Delta rep and see if they are willing to do it for you and still give you the bonus points they were offering. Again, they are wanting your help so you have the power to make suggestions. I like BIG bump vouchers! What else can happen? You may get a call telling you that the flight oversold and they will be willing to give you a $200 voucher if you will, right now, give up your seat and take another flight. Should you take the offer? Maybe. Again, you have to consider a number of factors. First, if they are so desperate that they are offering to pay you to bump now, how high will the offer end up at the gate? Will it be 2x or even 4x or more? Or, as you may be thinking, a bump voucher in the “hand” is worth two in the bush. But you may not like any of the alternate flights they are willing to put you on. Maybe the other routes mean no upgrade as there is no space or a bad connection or so on. Again, you have the power in this situation so look at all your choices and offer suggestions to the rep. If they can make it happen they will and give you the voucher too. Maybe a very smart move as things always change and if you kept your first flight you may get to the gate to find it no longer oversold (either they got other volunteers or something changed). This one you may really not like but it can and does happen. Let’s say you have been upgraded to 1st class and then there is an equipment swap and you are now in coach. Or, even worse, you PAID for 1st class and now are in coach. Both of these things happen and there is very little you can do about it. In the case of an upgrade your original fare was coach. In the case of a paid first it may be what is called a Y-UP fare, that is, while it looked like a 1st class ticket it was really a coach base fare with instant 1st class upgrade. I know, it is complicated, but that is how airline fares work. But even on a full fare 1st class ticket they can move you but you clearly have choices in all of these situations. You can see what other flights they are offering you and if 1st is open on them (even in the case where you were upgraded). You can again suggest other flights to the rep and see if they can work them. In the case of paid 1st you can consider other airlines even but know Delta hates doing this and does not have agreements any longer with a number of airlines to let you move to them. Worst case you can get your money back and buy a ticket on another airline. What if Delta calls you and your flight is canceled. Depending on why it was canceled is what really matters to you. If it is weather, or if Delta “says” it is weather, you have very few options and are at their mercy. You can still suggest things but it is up to them to be nice. Now if it is their fault due to a broken jet or other issues that are Delta’s fault, they are much more willing to do what they can to make you happy including routes you may suggest. 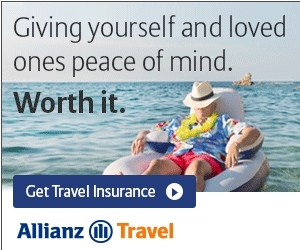 This is one of the reasons to always also pay for a flight with a travel card that offers some kind of travel insurance that kicks in under most circumstances between the 3-6 hour range. ← Less Delta CRJ200s? Air Rage on the rise! SEA Mileage Runs. Jet Airways & Delta again. X-Starwood CEO says sale bad timing. nice write up. Of the premium cards that are most popular (Cit Prestige, Chase Reserve; Amex Plat) which one (s) do you think offer the best travel/interruption insurance/? If you were booking your next plane ticket solely based on the travel protection a card offers, and not taking into account points accumulation, which card would you put that flight on? @Shaun – Delta offers it when you buy a ticket. It is not the greatest but an option. I have never ever filed a claim as most times Delta takes good enough care of me. If you fly a ton each year you can get a blanket policy that covers ALL your flights. That can be a real value and there are a number of company’s that offers such a policy. I do not have one I would say is “the best”. Regarding UP Fares, I believe Delta has fixed this. Though both economy and first class inventory for the fare needs to be available, the actual rules state their application to First Class. There shouldn’t be an argument from an agent. If you are involuntarily downgraded on a paid FC ticket you are entitled to the difference in fare. @Joe – Oh sure not saying you can not get your money back etc etc. Just saying that either on a Y-UP or a FULL FARE you can still end up in coach. Then you have choices.